Sleek, Sharp and Stylish; the Mykonos Outdoor Furniture Collection brings modern sensibilities to the forefront with this exceptional contemporary collection from Design Warehouse. 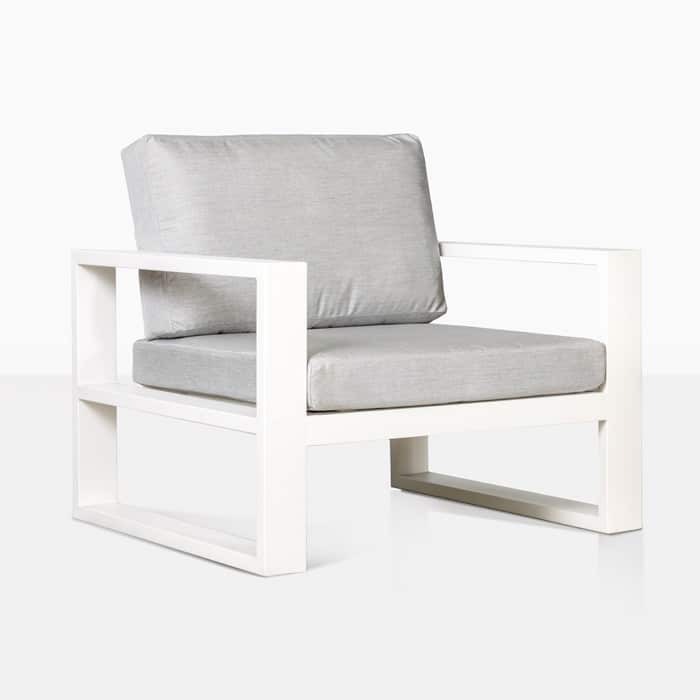 Mykonos is deep seating outdoor furniture at its best. 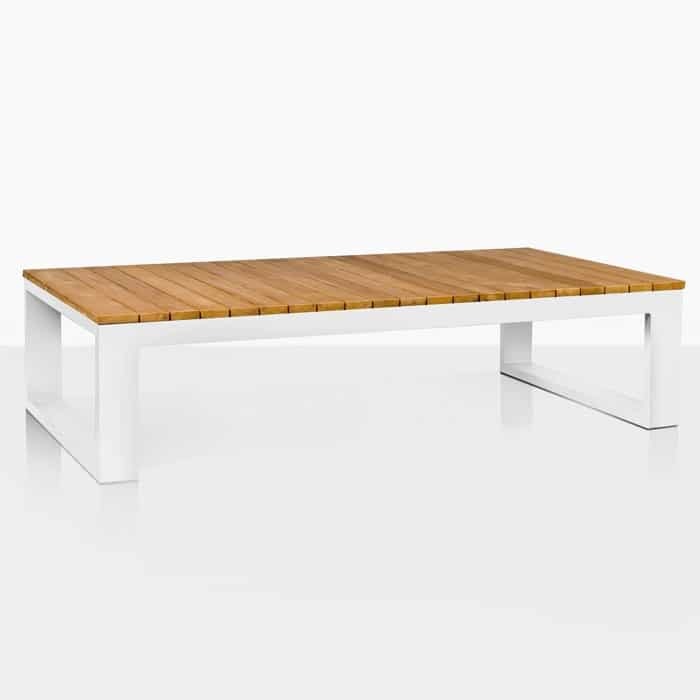 All the stylish components you can handle in a great number of pieces to enable you to create the perfect outdoor setting. The look is bold, beautiful, and striking, and the quality second to none. 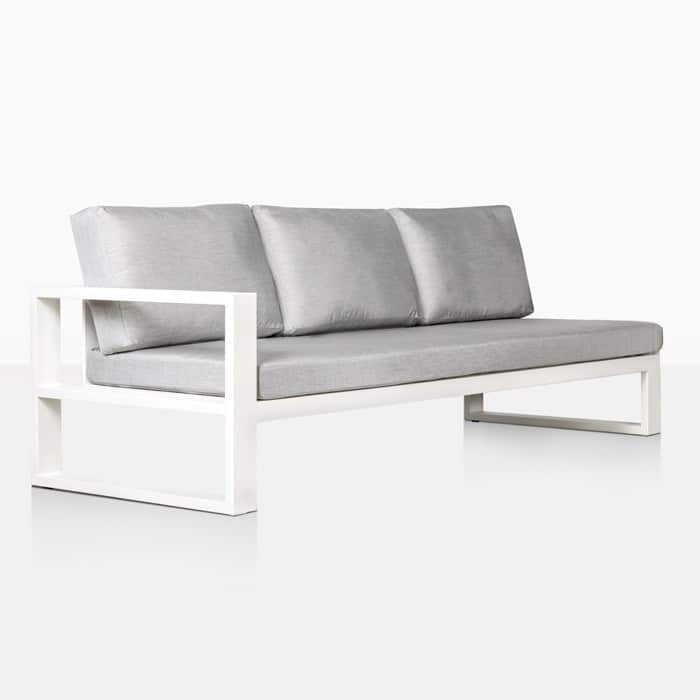 From the outdoor Sofa to the Coffee Table, each Mykonos piece is recognisable for their solid, thick panels of powder-coated white aluminium – inherently modern and oh so luxurious! 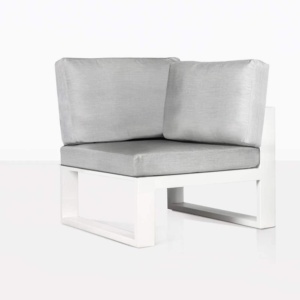 Each piece of seating has cushy layered Sunbrella® cushions to complement the already high end, designer furniture. 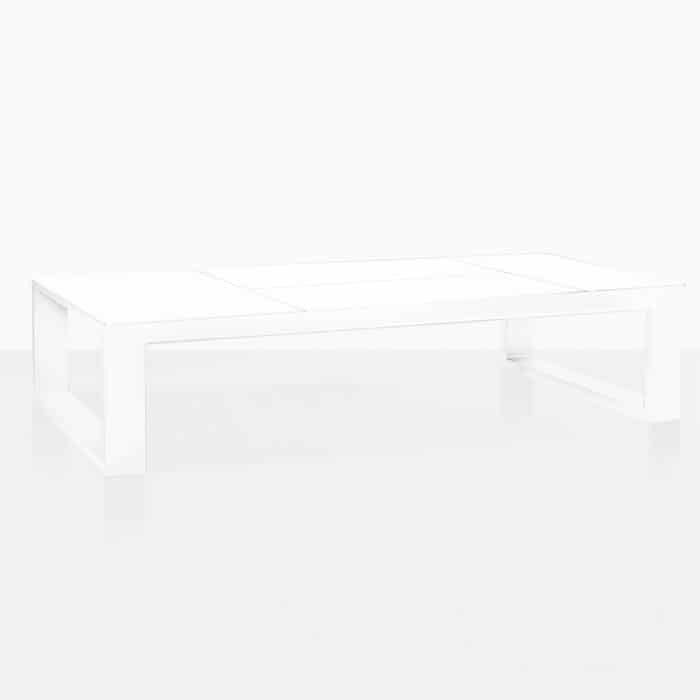 The Mykonos Outdoor Furniture Collection in White features a huge 3 Seater Sofa, Loveseat, Club Chair, Ottoman, Coffee Table and Side Tables, which means that you have everything you need to create a marvellous modern outdoor furniture setting. Spruce up your garden area by flanking a Mykonos Outdoor Sofa with two Club Chairs made infinitely more relaxing with the addition of two Ottomans – put your feet up in peace and harmony in a designer setting in your very own backyard! Perhaps you’ve a bit more outdoor space to play with? 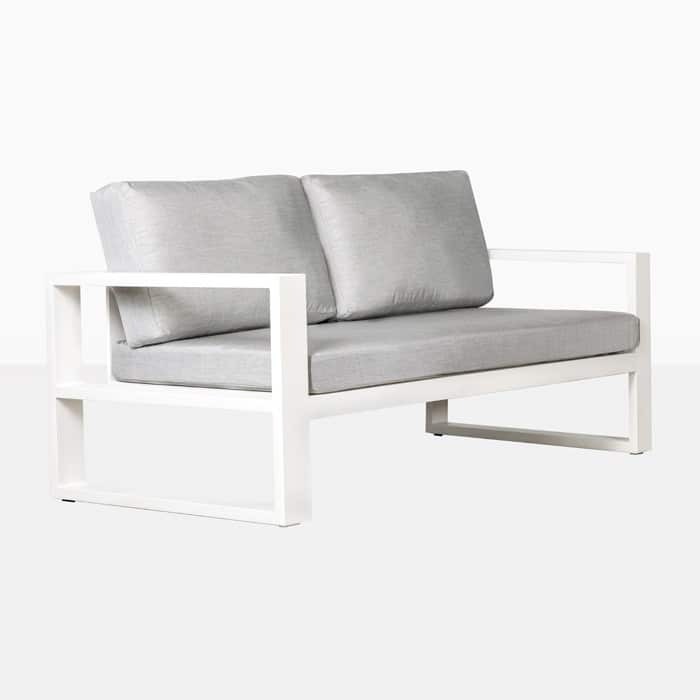 Add in an outdoor Loveseat and make sure you incorporate the trendy Side Tables so that your guests can enjoy drinks and nibbles as you relax the day away on your outdoor furniture! It is really the striking, stylish Powder Coated White Aluminium that has people going from a quick look to getting it swiftly into their outdoors! This material has become one of the most popular choices at Design Warehouse, because it makes for the perfect mix of contemporary glamour and long lasting quality furniture. 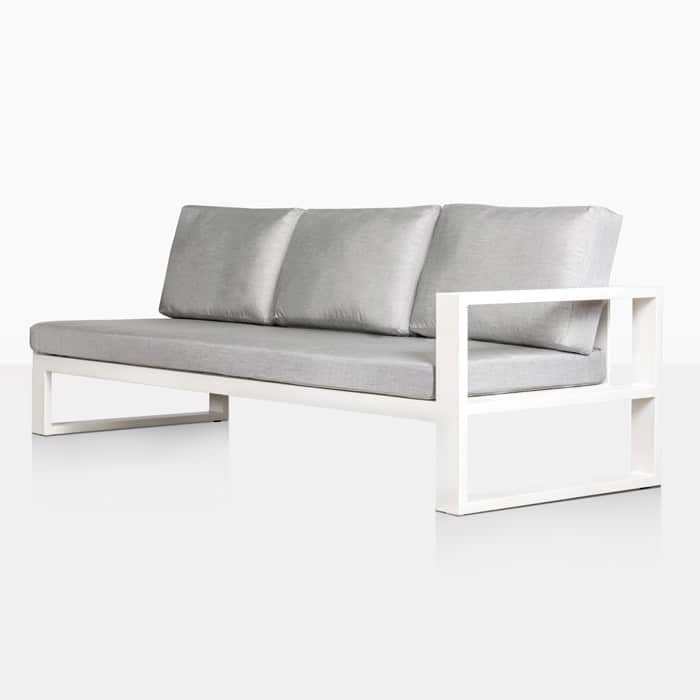 The Mykonos collection is made up of quality materials that look stunning. 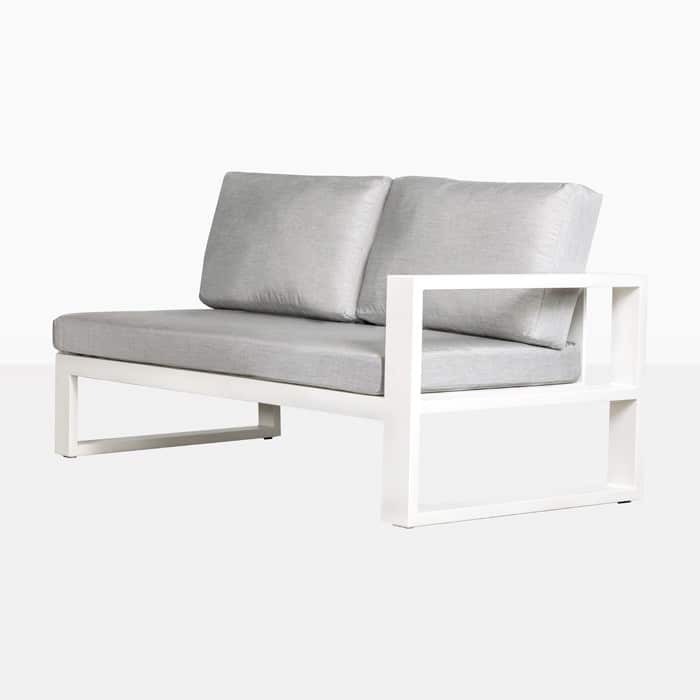 Topped off with free Sunbrella® cushions, Mykonos is the perfect outdoor furniture set for the modern home. Come in and try it out today!